Here are the most effective bowhead whale facts that explains explicitly the bowhead whale’s reproduction, distribution, and its physical behavior. The bowhead whale (Balaena mysticetua) is a baleen whale that belongs to the family of Balaenidae in the suborder Mysticeti. These whales have bright-colored body lacking dorsal fin. They can grow to a size of about 20 meters (66 feet). The bowhead whales are the second heaviest whales come only after the blue whale. However, the length of these mammals may be lesser as compared to other whale species. The bowhead whale inhabits along the fertile Arctic and sub-Arctic waters. They are known to reproduce at low latitude waters. 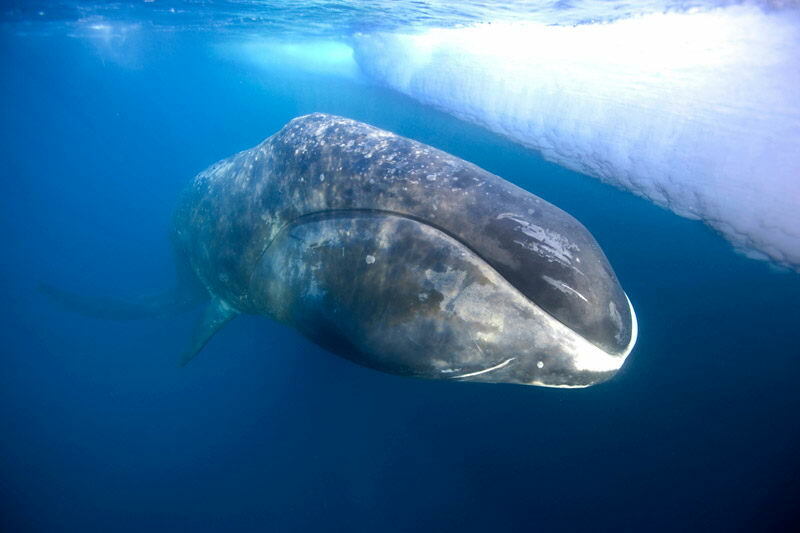 The bowhead whale is also called Arctic whale, Greenland right whale, Russian whale, steeple-top and polar whale. They have the largest mouth among all the living mammals. The bowhead whale population underwent drastic decline in the year 1966 when it was excessively hunted. There are now 24,900 individuals left globally as against the initial numbers of 24,900 species. The bowhead whale lacks dorsal fin. The length of these whale measure around 14 – 18 cm (46 – 59 feet), with the weight measuring at 30,000 – 60,000 kg (66,000 – 130,000 lb). They have a bulky bony skull that is robust enough to break the Arctic ice which is largely required when it comes to breathing. The bowhead whales are known to surface through 60 cm (24 inches) of ice. The largest bowhead whale ever recorded was measured at 21.2 meters (70 feet), with the weigh measuring at 133 t (290,000 lb). The males are considerably larger than females. They have the thickest blubber among all animals, averaging 43 – 50 cm (17 – 20 inches). The bowhead whales are typically non-aggressive and sociable mammals. 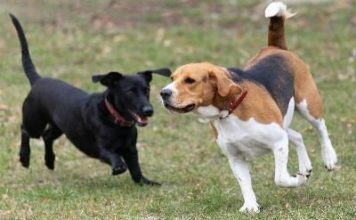 They are usually known to travel alone or in small herds comprising up to six individuals. These whales are not believed to be bottom-dweller but they remain submerged for about 40 minutes. Some of the most common behavioral characteristics of these whales include spyhopping, breaching, and tail slapping. 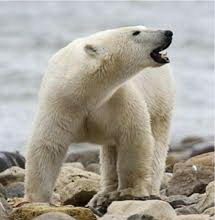 They tend to produce different sounds possibly to communicate, feed, or traveling. The breeding season ranges from March to August. The whale begins to reproduce after when it reaches 10 – 15 years old. The female gives birth to one calf in a period of three to four years. The pregnancy period lasts for 13 – 14 months. The length of the newborn calf measures around 4.5 meters (15 feet), with the weight measuring at 1,000 kg (2,200 lb), and it grows to a size of 9 meters (30 feet) after one year. The bowhead whales are believed to survive up to 60 – 70 years, with some species have even survived up to 150 – 200 years according to a research undertook in the year 2007. The bowhead whales inhabit across the Arctic waters and they live their whole life in these waters.